The British Columbia Securities Commission (BCSC) has handed out the biggest fine in its history. $33 million! Gah!! This fine has been dished out against a former notary, Rashida Samji, who ran an alleged $100 million Ponzi scheme fraud involving false claims about raising financing for a high-end local winery. Ms. Samji told investors their money was being used to raise financing for a winery in Kelowna. The Mission Hill Family Estate winery knew nothing about Ms. Samji’s scheme and said it had no business arrangement with her. So a panel of the BCSC determined that Ms. Samji committed fraud for running the scheme between 2003 and 2012 and has handed down its decision on penalties. 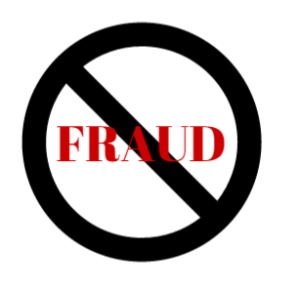 The commission said that frauds were perpetrated many times in her dealings with clients, and sheer magnitude and duration of this fraud, and the number of people affected, was a bases in the penalty decision. It’s also been noted that these fraudulent actions in raising money for investors amounted to trading in securities, that Samji wasn’t licenced to do this. The BCSC says that Ms. Samji raised more than $110 million from more than 200 investors, telling them she would deposit their funds in the trust account she maintained as part of her notary public practice and only use those funds as collateral to provide a “letter of comfort” to the Vancouver-based Mark Anthony Group. She said the Mark Anthony Group would use that letter as backing to raise financing for operations in South America and South Africa, and pay fees to investors, these fees amounting to between 6% and 12% per year, for the use of their funds. Here’s the thing – Samji didn’t have a trust account at the time and had no connection to the real Mark Anthony Group, another company that had no clue their name was associated with this scheme. Even though Samji was never licensed to trade securities, the BCSC also permanently banned her from BC’s capital markets to trade in securities, act as a director or officer of a registered company or act as an adviser or consultant to a registered company. Now, that all said, one message has been clear in this story – had regulators and authorities been notified earlier, Samji could have been stopped earlier, and many clients would still have their money. According to the ACFEs 2014 Report to the Nations, the median duration of frauds, time commenced until time detected, is 18 months. That’s a heck of a long time to committing fraud – no wonder the crimes are costly. Also, insider whistleblowing tips are the #1 method of detecting fraud. Frauds of any magnitude are detrimental to organizations. It’s a simple solution really – engage with a third-party and implement an ethics reporting system. It’s such a simple program that anyone can use to report on any wrongdoing.